"Nanahimik na po ang mga patay, wag na natin silang idamay. Ikaw na buhay ang dapat manahimik because wala ka pa namang nagagawang maganda at mabuti para sa bayan, if meron man. Thankful kami. If wala issues pa more kasi dun ka magaling." 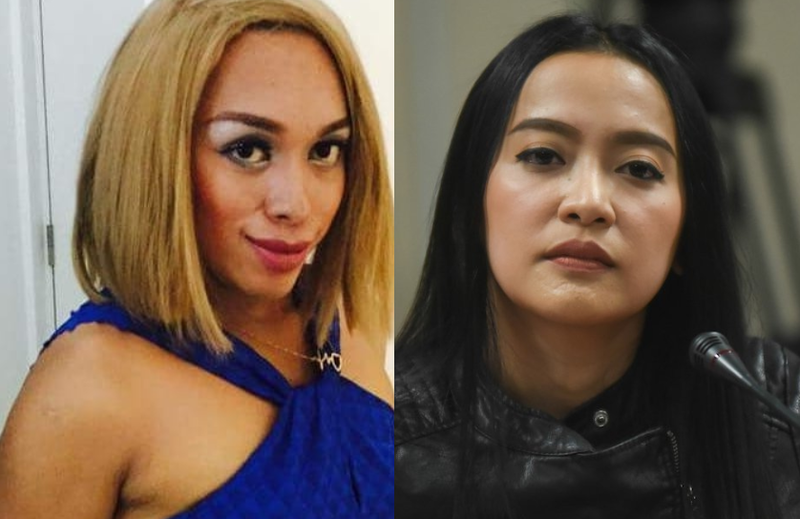 In his open letter to Presidential Communications Operations Office Assistant Secretary Mocha Uson, local celebrity and impersonator Ronnie Juera, advised the Asec to shut her mouth and respect the memory of the dead. Also known as "Boobai Apocalypsa" for his impersonation of entertainer Ethel Booba, Juera posted the open letter in his Facebook account, claiming his right as a Filipino to defend the dead and their family which is paying millions of taxes in the government, al the while claiming that he is not a "dilawan". Aquino previously barrated Uson after the latter uploaded a video of her late father in comparison with President Rodrigo Duterte's "playful" kiss with a Filipina in South Korea. Juera said that as a woman who represents the totality and perfect ideal of being a woman with grace and respect, Uson should know her limitations. He said that Uson knows how to act, but refuses to acknowledge it, and looks on the other side of the story which she doesn’t even know. "Have a self check on this. We need to give respect on the Aquinos. Most especially the Mom and Dad of our past administration. Look for the great things they just did for us not on the loopholes, that shows you are pessimist, indeed," he said, adding that the dead should be respected and that Uson should not speak, unless she has given her good contribution to the country. "If wala (contribution) issues pa more kasi dun ka magaling." He also gave a message to the Asec's supporters. "I am sorry, nalolokah lang ako sa video edited post niya parang di siya pinoy. Dapat pangalagaan mo ang oneness, camaraderie at interest at di ang kasiraan ng pinoy ang inaaalagaan mo," he said. "Kris Aquino, i salute you and i feel you," he added. As a Filipino and one of millionth nation builder. I also have the freedom to speak for the rest and let my voice be heard about some viral concern affecting one's posthomous life who is now at peace in heaven and a family that has nothing to do but to pay millions of taxes in our government and i am talking of course with Miss Kristina Cojuangco Aquino. I am not delivering this open letter just to get the attention of the masses but to get your attention. I am not the so called "Dilawan" nor supporter of the Aquino Administration or even on the present Administration. Again, a very simple situation that you made it posted on social media about the non-descent or obscenity about kissing to woman of Pres Digong and to Late Ninoy to woman on the plane before he assasinated. You should know where you stand because you are a woman who represents the totality and perfect ideal of being a woman with grace and respect not to disgrace and not respected at actions which seems so wronged. You know yourself your limitation on how would you react on its norms on the society you belong. As you woman, undeniably you really know the answer but you look on the other side of the story you didn't even know. Have a self check on this. We need to give respect on the Aquinos. Most especially the Mom and Dad of our past administration. Look for the great things they just did for us not on the loopholes, that shows you are pessimist, indeed. Nanahimik na po ang mga patay, wag na natin silang idamay. Ikaw na buhay ang dapat manahimik because wala ka pa namang nagagawang maganda at mabuti para sa bayan, if meron man. Thankful kami. If wala issues pa more kasi dun ka magaling. To the supporters of Mocha, i am sorry, nalolokah lang ako sa video edited post niya parang di siya pinoy. Dapat pangalagaan mo ang oneness, camaraderie at interest at di ang kasiraan ng pinoy ang inaaalagaan mo. Kris Aquino, i salute you and i feel you.